Foot Locker and Timberland recently teamed up with hip-hop legend Nas to launch the 2017 Timberland Legends Collection limited-release series of boots. The campaign's colorful animated ads – which document pivotal moments in the iconic rapper's personal journey – have promised exclusive new drops to come. Today, campaign collaborators at creative agency Pereira & O'Dell and creative production company Gentleman Scholar are proud to announce their newest installment, entitled "Dictionary." Also known as "The Legend Continues with Nas, Vol. 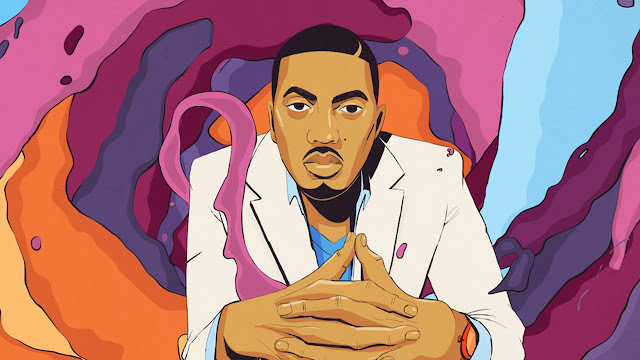 VIII," the latest tale presents animated Nas recounting his drive to change the whole vocabulary of hip-hop. Flashing back to his teenage years scouring the dictionary cover-to-cover, the moving tapestry of words, colors and beats set in and around NYC's subway renders the artist's spoken recollections as vibrant visual poetry. With each new episode dedicated to a new Legends Collection release, "Dictionary" signals the arrival of Timberland's Volume VIII 6" Premium Strap Boot in stores. With Squeak E. Clean Productions onboard for original music, the series will unveil two more videos in the weeks to come, and two more sets of limited-release Timberland boots. In the campaign's launch announcement, executives from Timberland and Foot Locker discussed their affinity with Nas, whose connection to the brand is as real as they come. "Nas perfectly captures the notion that success is born out of hard work and hustle – something that's at the heart of every Timberland boot," said Jim Davey, vice president of global brand marketing for Timberland. "We are thrilled to be a small part of his journey, and to recognize him for the legend he has become." In an interview with Adweek, Pereira & O'Dell's executive creative director Dave Arnold confirmed that the campaign is targeting 15- to 19-year-olds. To earn their respect, he said, "Everything is authentic, including the flashbacks where Nas is wearing the specific Timberlands he wore during each period of his life." For Gentleman Scholar, the scores of artists and producers working across studios in Los Angeles and New York has been led by creative directors Chace Hartman, William Campbell and Will Johnson, art directors Cristina Barna and Macauley Johnson, executive producer Christina Roldan, and senior producers Sue Yee Hubbard and Kirsten Noll. "Since the Legends series is as much lifestyle as product, the visual personification of Nas' journey has to involve some intense storytelling and thoughtful problem solving in animation and design," Hartman began. "It's street and style." The team's efforts have focused on delivering a gritty, textural narrative with a style that is familiar in the comic aesthetic, while also feeling fresh and new. "The stories are both quiet and explosive, helping to redefine the new look of the Legends Club," Hartman continued. Referring to graphic novels, classic comic books, and traditional cel animation, the production team approached the project using a combination of 2D, 3D (to help inform camera language), and cel animation. Adding Nas' own voiceover, the stories take new life… and organically showcasing Timberland's boots provides exceptional punctuation. Having photographed the products, the team has been able to meld them into each animated world seamlessly.